Shares of public sector banks (PSB) continued to trade higher with the Nifty PSU Bank index up nearly 3 per cent on hopes of margin expansion. Andhra Bank, United Bank of India, Corporation Bank, Indian Overseas Bank, Uco Bank, Bank of Maharashtra and Syndicate Bank were up more than 5 per cent each while Punjab National Bank (PNB), Bank of Baroda (BOB), Union Bank of India, Bank of India and Indian Bank were up in the range of 2 to 3 per cent on the National Stock Exchange (NSE). At 11:53 am, the Nifty PSU Bank index, the largest gainer among sectoral indices, was up 2.8 per cent on the NSE. In comparison, the benchmark index Nifty 50 was up 0.67 per cent, while Nifty Bank and Nifty Private Bank were up 0.37 per cent and 0.19 per cent, respectively. Nifty PSU Bank index has rallied 29 per cent from its recent low on February 18, 2019, after the Union government approved a capital infusion of Rs 48,239 crore into 12 PSBs. Post capital infusion from the government, rating agencies ICRA and Moody’s had revised upwards their outlook in select PSBs. Brokerage firm Elara Capital believes banks, primarily PSB & corporate-facing, expect further margin expansion, led by higher NPL recovery and lower fresh delinquency. Therefore, on net slippages, banks would witness interest income accruals vs interest income reversals in the past. Although it would be again a tactical phenomenon, post a base reset, the margin would plateau. The State Bank of India (SBI) management expects improvement in margin in Q4FY19 and FY20; in FY20, NIM would be around 300bp. Domestic margin would be higher by 25-50bp. The improvement in margin would primarily accrue from higher credit-deposit ratio and lower fresh delinquency, thereby resulting in lower interest reversals on NPA, the brokerage firm said in a sector update. Meanwhile, BoB was up 4 per cent to Rs 134, surging 24 per cent in the past one month on the NSE. The amalgamation of Vijaya Bank and Dena Bank into the BoB came into effect from today, April 1, and all branches of the former two function as branches of BoB. 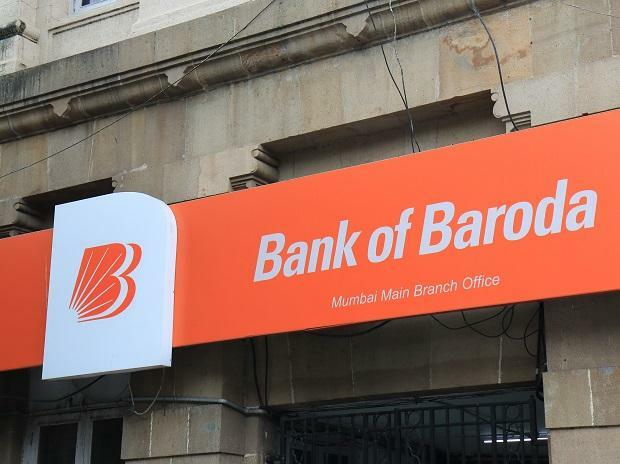 Post the merger, Bank of Baroda would be the third largest bank in the country. Shares of PNB were up 5 per cent to Rs 100, trading close to its 52-week high price of Rs 107 touched on April 10, 2018, on the NSE in intra-day trade. Rating agency ICRA last month upgraded the outlook on all the long-term ratings and the medium-term rating has been revised to ‘Stable’ from ‘Negative’. The stable outlook factors in ICRA’s expectations of reduced asset quality pressure, improving solvency levels and expectations of improved earnings indicators in FY2020. The outlook will be revised to positive if the bank is able to demonstrate an improvement in the asset quality, capitalisation and solvency levels, as per ICRA’s estimates, by limiting fresh slippages.